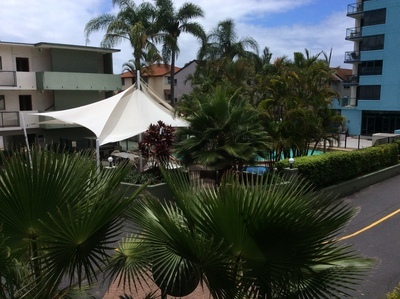 Hot Property of the Week Marine Parade, Southport Queensland. 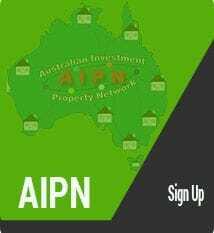 If the buyer does not make money within a reasonable time holding the property they will never buy from you again. If you do not give your clients extraordinary service they will never give you referral business. Now this may sound very simple but the stark reality is that most real estate agents are more interested in making their commission on a single sale than looking towards repeat business from that client in the future. The real estate business is unfortunately rife with short term thinkers and money grabbers. James wrote an expose on the unethical practices and tactics that real estate agents use. To be smarter than those agents when buying and selling property you need to be aware of these practices and tactics. Click >>> SMARTER to get the full article and be wise to the trickery. Contact James Cagney on 0416 137 645 to find out more about the property listed below or click >>> CONTACT ME. 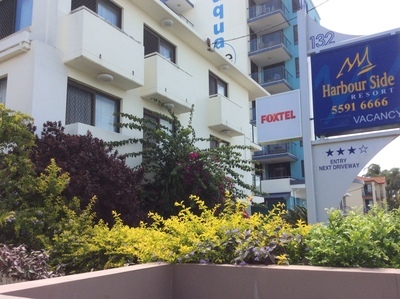 THIS UNIT IS IN SOUTHPORT - THE BUSINESS AND MEDICAL DISTRICT OF THE GOLD COAST ON THE WATERFRONT............... AND IT IS ON THE MARKET FOR ONLY $240,000! 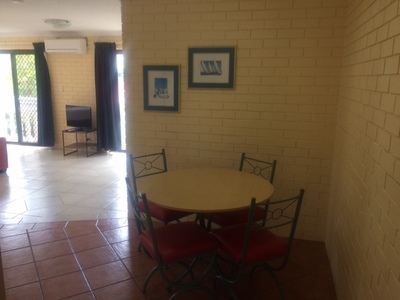 Well maintained one bedroom apartment on the Marine Parade close to Australia Fair Shopping Centre, commercial offices, transport and the Southport business centre. 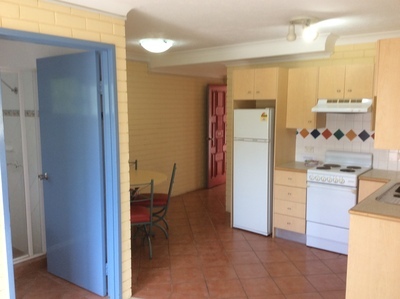 This gem of a property can be used as an investment for permanent and /or holiday tenants. 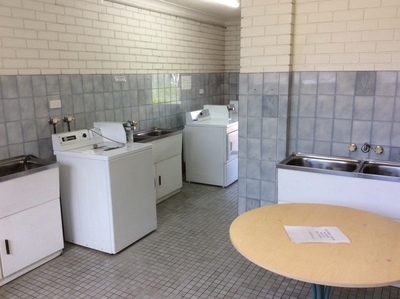 It is fully contained with furniture, appliances, cutlery and crockery. 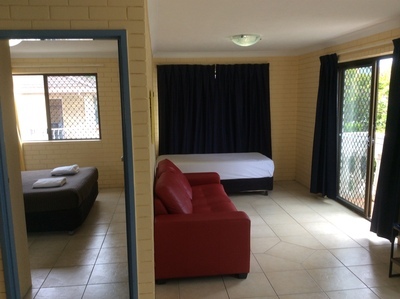 Ideal for business stays because of it's proximity to the Southport business district, medical precinct and main arterial roads to Brisbane. 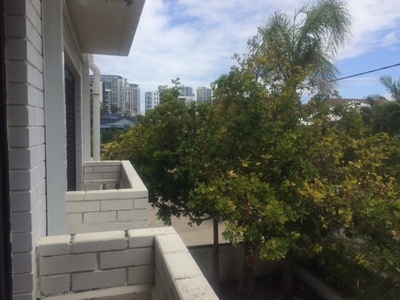 This unit has a separate bedroom, an open plan lounge, kitchen and dining area with two Juliette balcony looking towards Southport CBD and onto the back garden of the complex. There are 38 units in the complex and the unit comes with one covered parking space. There is a swimming pool, spa and mini-tennis court within the complex. 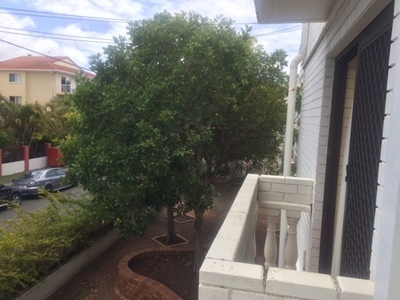 Low maintenance two story walk up with no lifts and low strata-title fees. 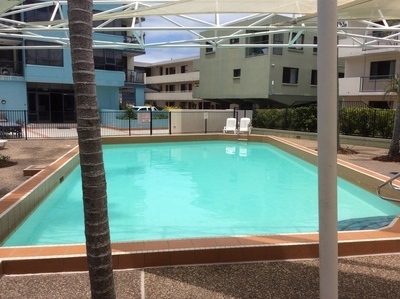 The unit for sale is currently in the holiday pool on a fixed weekly rent basis. 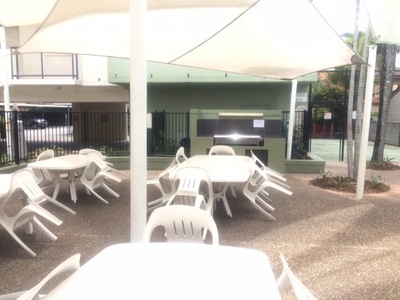 It is situated at the back of the complex on Little Norman Street away from the the rest of the complex. 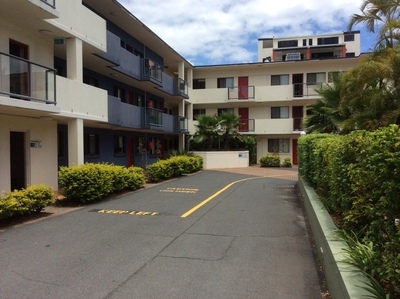 It is a quite street as opposed to the busy Marine Parade and many returning guests specifically request this unit. 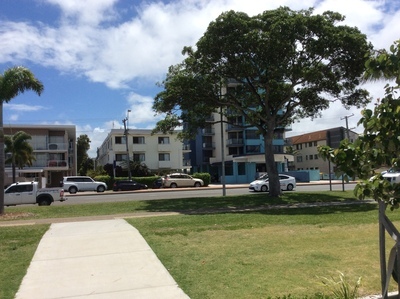 The complex (called Harbourside Resort) is situated on the Marine Parade and opposite the Broadwater Parkland which stretches for over a kilometer along the Broadwater. 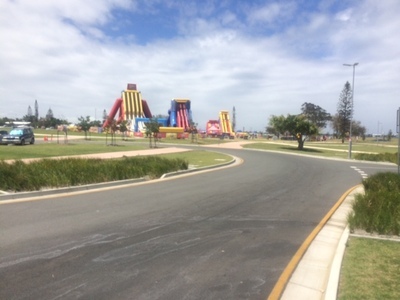 Click here for information on the Broadwater Parklands>>> PARKLANDS . Spend time going through the entertainment and sporting events that are held on an ongoing basis in the Parklands. There is a function centre and wedding chapel closeby. 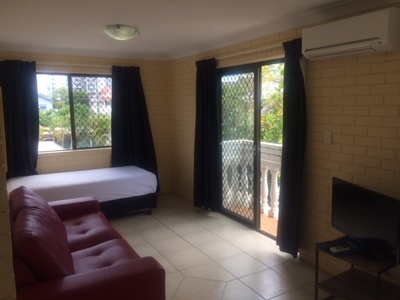 This is an exciting place to live or for holidays with ongoing entertainment, walks along the Broadwater, numerous restaurants and water sports. 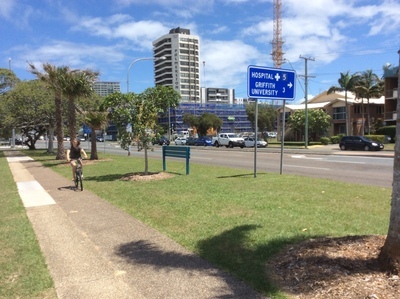 There are two boatramps to the Broadwater within five minutes of the complex. 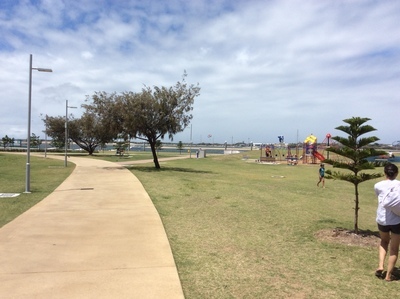 The walkways along the Broadwater is a favorite for biking, running and walking enthusiast. The Aquatic centre nearby is a hive of activity all year round. During the Commonwealth Games scheduled for April 2018 Southport will be a transport hub and the aquatic centre will host for swimming and diving events during the Games. You can find details about all the events from the the Commonwealth Games section on the website given above. 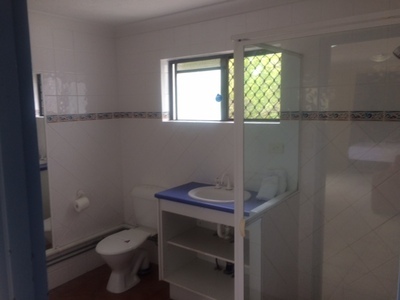 See photos below of the Broadwater Parklands and the unit for sale. A new residential high-rise apartment s being built 200 meters away from Harbourside Resort and this will have a commercial offices, retail shops and a Woolworth supermarket. The larger Australia Fair, bus and Light Rail system is a ten minute walk. All this on your doorstep and what a bargain price. The Harbourside Complex is ideally suited as a redevelopment site in the future. Top house sales price $3,554,561 and lowest price $365,663. Houses and semi detached make up 47% of dwellings. Top unit sales price $726,943 and lowest price $195,782. Units makes up 38%. Southport has a number of stately homes within the suburb. 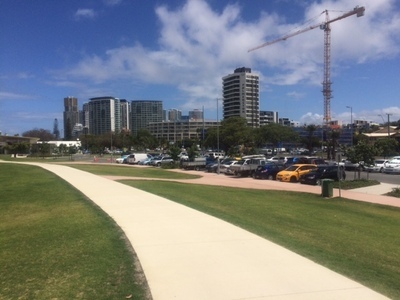 The recently completed state of the art Gold Coast public and private hospitals is 5km away and BOTH are a 10 minute ride on the new light rail system from Southport. 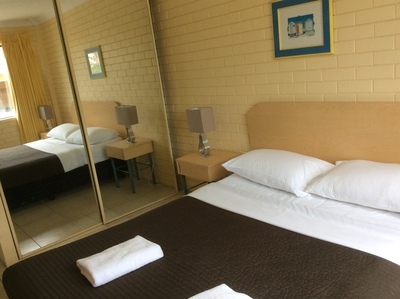 Southport is a medical precinct with numerous specialist and private clinics. 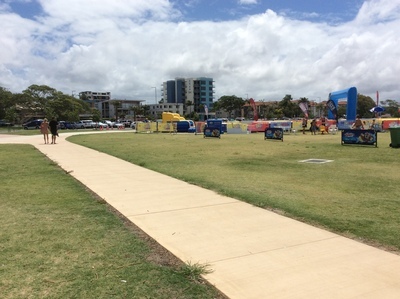 Southport is also the education centre of the Gold Coast with numerous private colleges and a TAFE. The nearby Griffith University (3km away) has more than 18,000 students and attracts medical, dental and other health science because it the Gold Coast Hospital is used as a training facility. The university offers a large range of degrees and post graduate dgrees.With Surfers Paradise a convenient light rail ride from Griffith University is popular with local and foreign students. 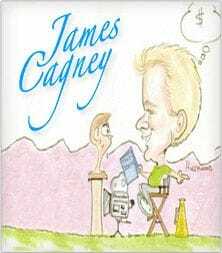 To find out more about this property contact james Cagney on +81 416 137 645 or click >>> CONTACT ME. AND IN A GREAT COMPLEX. BE QUICK THIS WILL BE SOLD! 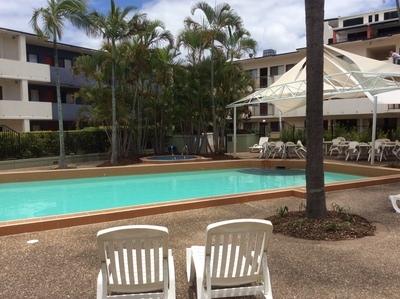 Contact James Cagney on + 61 416 137 645 to find out more about the area OR about HARBOURSIDE RESORT, Marine Parade, Southport QLD.